The Virgin Islands Youth Parliament which seeks to create leadership skills and competencies in the Territory’s youth will be officially launched on September 30. The Virgin Islands Youth Parliament was established through the Virgin Islands National Youth Policy, passed in the House of Assembly in February 2015. The Youth Parliament is expected to give the Territory’s young people between the ages of 15 and 29 a unique opportunity to understand in theory and practice the important principles of governance, democracy and the rule of law, human rights, and to advocate different platforms and themes that impact young people. Acting Director for the Department of Youth Affairs and Sports, Mrs. Brenda Lettsome-Tye said that one of the earliest priorities of the Department of Youth Affairs and Sports after the official launch of the Virgin Islands Youth Policy and Strategic Framework in April 2015 was to establish specific youth-led and youth-managed governance structures, including a National Youth Parliament which aims to give young people a voice to bring about changes they want to see in their communities, on key issues of interests. 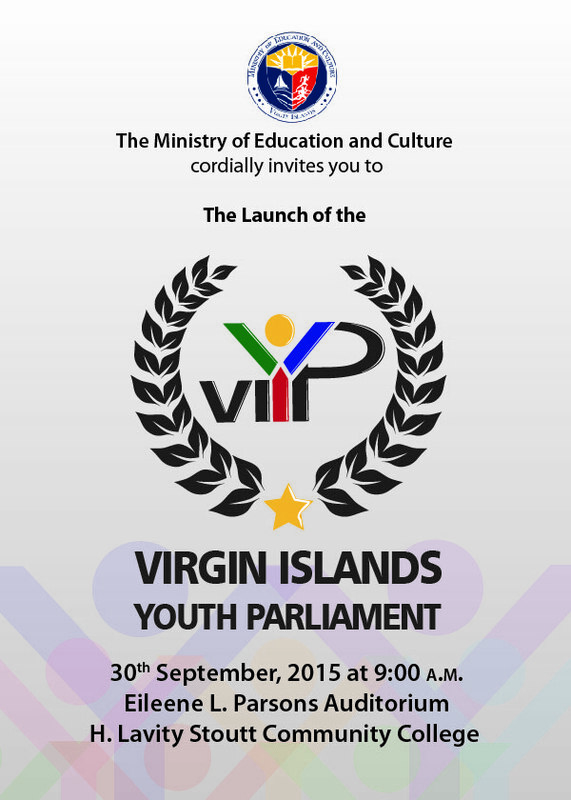 During the launch of the National Youth Policy on April 27, 2015, Minister for Education and Culture, Honourable Myron V. Walwyn stated that the Youth Parliament will enable young people across the Territory to develop their skills and advocate meaningfully on different platforms and themes that impact them. He also added that the youth of the Territory will have the opportunity to take ownership of the Youth Policy as they did when they participated in the sitting of the Commonwealth Youth Parliament at the Commonwealth Parliamentary Association meeting held in the Virgin Islands on July 27, 2015. Honourable Walwyn added, “The Parliament contributes to a strong and secure Territory by developing our young people and by their participation, allowing them to mature as politically accountable and responsible citizens, grounded in a civic consciousness, national identity, democracy and the rule of law, and respect for rights and diversity." The Virgin Islands Youth Parliament will be launched on Wednesday, September 30 at 9:00 a.m. at the Eileene L. Parsons Auditorium, H. Lavity Stoutt Community College.